Tomato fruit is often referred to as one of the healthiest foods in the world. The term is pinned on tomatoes, because it is famous for its high nutritional content. 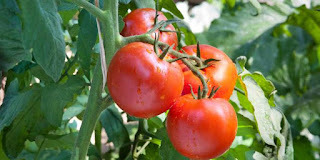 Tomatoes are plants from the American continent and belong to the Solanaceae plant group. 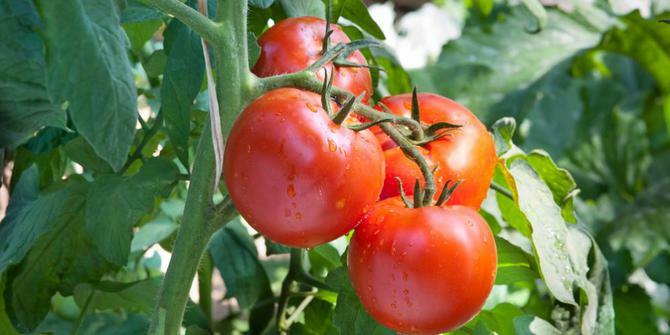 Although the life cycle is short, tomatoes can grow to a height of 3 meters. Depending on the type, tomatoes have a variety of colors, namely red, yellow, and green which are usually used as ingredients or consumed directly. Besides being beneficial for health, tomatoes are also often used as one of the natural facial beauty therapies. The content of lycopene in tomatoes is very useful for health. Lycopene is known as one of the antioxidants that has an important role to prevent the negative effects of free radicals that appear as residual metabolism. The existence of excess free radicals in the body will have an impact on cell damage and DNA. In addition, lycopene in tomatoes can also be used to reduce the risk of developing several types of cancer such as pancreatic cancer. Consumption of tomatoes can help strengthen adult bones and growth for adolescents. In addition, strong bones will provide more protection to the organs and make them not easily injured. The use of the next tomato can be used to strengthen the body's immune system. This is because the biochemical content of tomatoes makes this one vegetable very important for improving the immune system. With a stronger antibody system, you will be more immune to disease attacks. The next benefit of tomatoes is to reduce toxins lodged in the body. The anti-toxic properties of tomatoes occur because of the vitamin C content they have. Besides being able to increase the body's immune system, vitamin C can also reduce the content of poisons lodged in the body. In addition to vitamin C, tomatoes also contain high levels of vitamin A and are stored in the form of carotene alpha and beta carotene. As is known, vitamin A is effective for maintaining eye health. Tomatoes can also be used as one of the natural treatments for people who suffer from constipation. This is due to the fiber content it has. By eating tomatoes, the problem of constipation and other digestion can be overcome in a short time. Besides being useful for eye health, the content of vitamin A found in tomatoes can also keep your hair healthy. Eating tomatoes can be efficacious to reduce hair loss, split hair, and gray hair. Today, there are lots of beauty products that use tomatoes as a basic ingredient. That is not a coincidence! Tomatoes contain vitamins E and C which are effective in naturally moisturizing and brightening facial skin. The layer of dead skin and germs that are on the skin of the face can immediately disappear using only a tomato mask. Variations of tomatoes on the market also vary. In fact, there are currently around 7,500 types of tomatoes that are developed for various uses. Each type of tomato does have its own taste. Starting from pear tomatoes that taste sweet to slightly sour. Even so, each type of tomato has great benefits for health. This one tomato is usually called tomato paste. The reason is because this tomato is often used as the main ingredient for making sauces. The shape is a bell with a few seeds. Next, the pear tomatoes have a shape very similar to pears. This tomato is small, and has two color choices, namely red and yellow. Pear tomatoes are known as tomatoes from Europe. As with pear tomatoes, cherry tomatoes have a mini size. Usually round with a diameter between 1 and 2 cm. This one tomato is a tomato that is usually sold in markets. Can be used for various kinds, either processed for food or can be eaten directly in raw conditions. These tomatoes usually have a diameter of 5 to 6 cm. Of the many types of tomatoes that are available, beef tomatoes are known as the largest tomatoes. This tomato can reach a weight of half a kg. This irregularly shaped tomato usually has a diameter reaching 10 cm. Although healthy, you also need to pay attention to how to store it. Do not store raw tomatoes in the refrigerator, because they tend to eliminate freshness. The best way to store it is to put it in an open place and not be exposed to direct sunlight.